Mas Ramades reborn with the careful reconstruction of an eighteenth-century Catalan farmhouse, respecting the structure and many original features, takes new life turned into a unique space to enjoy, from the own nature of L’Empordà, relaxation, comfort and the great experiences you are looking for. The Country House surroundings, the rooms and the friendly service are the key of a rural experience designed for the wellbeing and the pleasure of guests. A place to enjoy the break, nature and food, but also a place to explore many possibilities offered by the Natural Park of Montgrí Island Medes and a step of places, interesting towns and cities, ecological, historical and cultural landscape value. 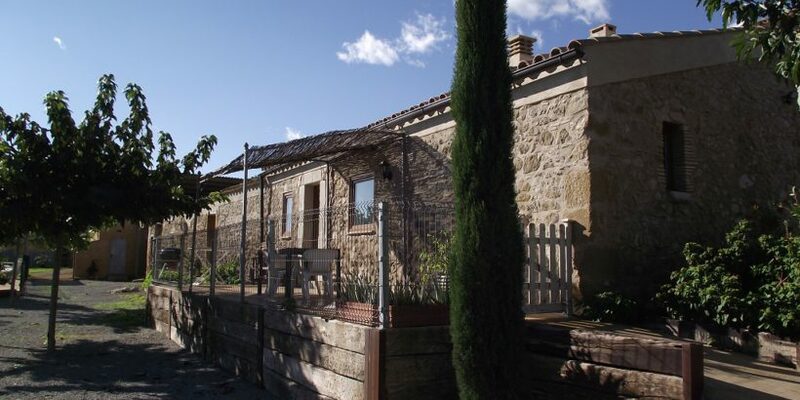 The owners of Mas Ramades, Laura and her family, with a great enthusiasm, sensitivity and with everyday’s push, have found and have kept in perfect harmony, the nature and the cadence of the rural world with the homemade and familiar comfort, but also with the pace of leisure activities, culture, sport or adventure, that each of their guests looks for. 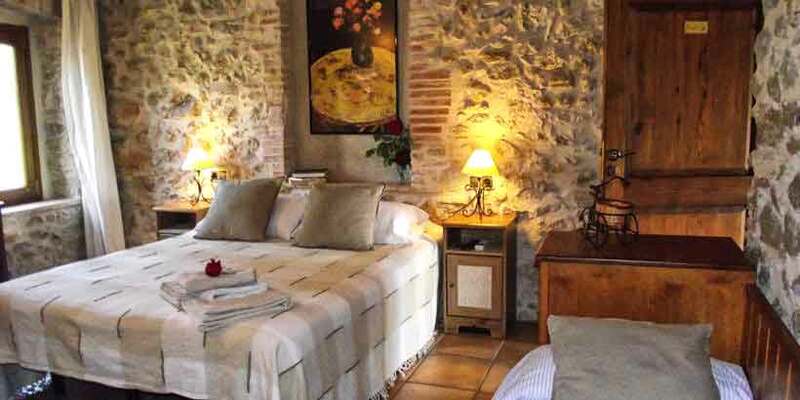 Rooms which are essence of Empordà and Tramuntana. Come to enjoy it and discover the beauty and tranquillity of the surroundings overlooking the sea, the plain of the Ter or the Montgrí mountain. Like in the rest of the House, the careful restoration respecting the local materials and styles, preserving the Stone, the ceilings, wooden beams or the floors, gives an own identity in the rooms of the House and “Cal Met” apartment. This added to the delicate care of the owners recovering pieces and antique furniture, has conferred the style and warmth into the rooms. 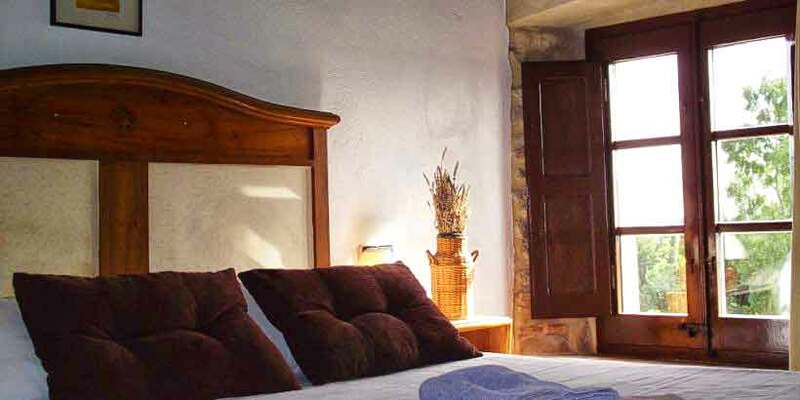 The rooms are warm and comfortable spaces designed with great care and in a perfect harmony with the architecture of the rural Country House. All the rooms are in the upper floor, where you can find 3 rooms looking to the East and 4 rooms looking to the West. There are double, triple and one quadruple rooms with own personality. Each one with a special and unique charming. 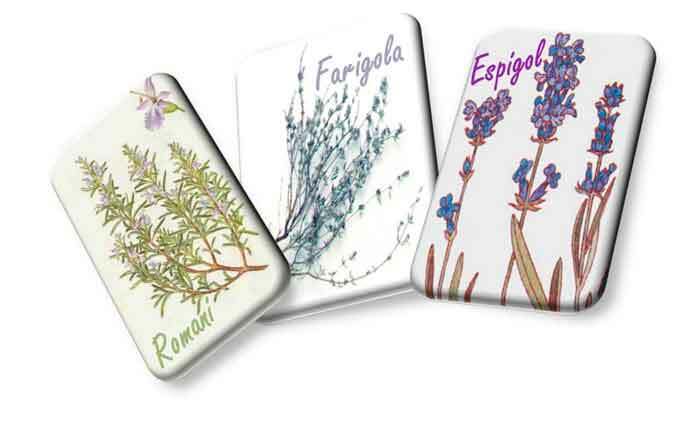 Each one with a nature blade of “Romaní”, “Farigola”, “Heure”, “Sàlvia”, “Eucaliptus”, “Llorer” or “Espígol”. Separate apartment for 4 people max. The best testimonials are the loving words of the people who visit us, and which leaves us in a written testimony to our guestbook. It is a pleasure for us to read many reviews of gratitude, affection and reward of so many friends and so many different origins. The team of Mas Ramades is small, but as we always say, this is less important, in fact the customer comfort is our tranquillity, and their samples of gratitude and warmth are the best reward for us. That is why, in this feel of calm and sincere gratitude that we will always be ready to make your stay at Mas, a unique experience. Do you have any Questions or special Requests? You're ready to visit us?